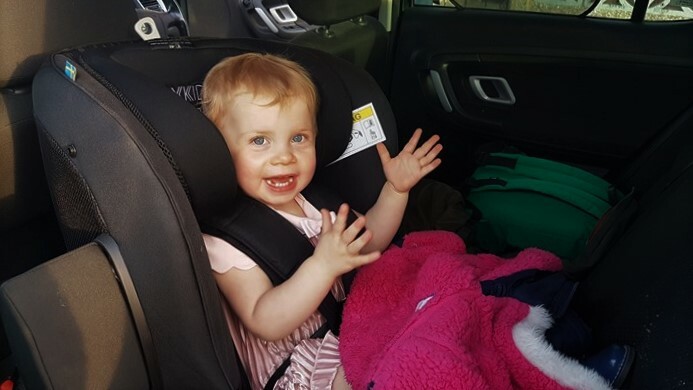 When Autumn turned 15 months old in January, we knew it was time for her to move out of her first car seat as she had reached its limit. From research I’d done when I was pregnant, I knew that I wanted her to be rear-facing for as long as possible. UK regulations now state that you must have your child in a rear-facing car seat until they’re 15 months. However, whether they change to forward-facing or not after that is your decision. 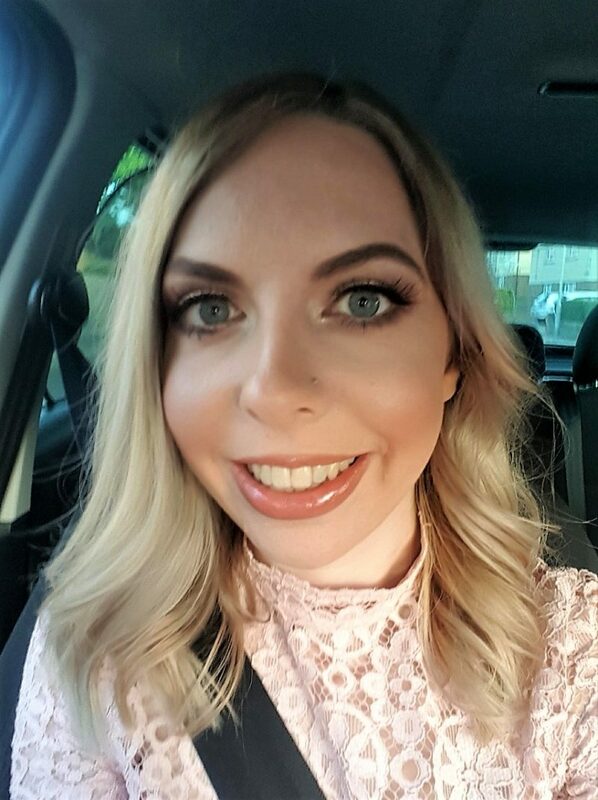 I personally decided I want to keep her rear-facing as long as possible as, after scouring the internet reading numerous blogs and articles, I feel it is safer. Think about what happens when you’re in a car that has to brake sharply. The seatbelt holds you in place, but not without flinging parts of you forward first. As well as your head, neck and arms lurching forwards, the belt also puts pressure on parts of your body. If a head-on crash were to happen, the effects of this would obviously be much greater. Babies and toddlers are still growing and their little bodies cannot handle this as well. This could result in serious injuries to their necks, spines or internal organs. According to Which, “in a front crash, in a forward-facing seat, a baby’s neck is subjected to a force equivalent to 300-320kg – that’s about 47 stone of weight on a baby’s neck”. If a baby is rear-facing, they do not lurch forwards and their head and neck is protected by the car seat around it. This helps to prevent injury to the spine or neck. Any pressure caused is distributed more evenly across the child’s back, the strongest part of its body. Even in side-on collisions, a child is better protected in a rear-facing seat. I’ve personally heard people question how it can be safer if a child’s legs are out of the car seat and against the back seat of the car, rather than dangling down like in a forward-facing car seat. Well, I don’t know about you, but I’d rather my child break her legs than suffer damage to her internal organs. Legs are far easier to fix. According to one article I’ve read, “Swedish accident research has shown that rearward facing children’s car seats reduce serious injuries by 92%, while the forward-facing seats only reduce injury by 60%”. Indeed, rear-facing car seats have been used in Scandinavian countries for decades and “child fatalities of car crashes there are rare”. The statistics in the UK are low too. However, they show a notable increase in child fatalities “after the age of one, when children are usually transferred to forward-facing car seats”. The short answer is yes. When we were looking at rear-facing car seats, we quickly found that they are generally more expensive than forward-facing ones. However, they should last your child a few years and can you really put a price on your baby’s safety? As mentioned earlier, the child’s legs go against the back seat of the car. Yes, there isn’t much leg room, but children are much more flexible than adults. As such, they will position their legs how they’d like to and should be comfortable. A fortnight ago we made the 240 mile journey up to Manchester, then back home again 24 hours later. On both journeys, the first of which took 6 hours, Autumn seemed very comfortable. Isn’t it mean that they can’t see out of the window? Yes, Autumn does have a more limited view than if she was forward-facing. However, she has been rear-facing since she was born, so she doesn’t know the difference. She can still see some of what is going on outside the car, though. We have also installed a specially-designed mirror in front of her so that we can look back and see her. She enjoys looking in it too. I think the more limited view is a small price to pay for an increase in safety. Are rear-facing seats harder to install? Well, I’ve never had a forward-facing seat so I can’t say for sure. However, I’ve heard that they can be a bit trickier to install. Part of this is because they are quite big and bulky! Of course, you should be very careful to make sure that you install the seat properly as it will not be safe for your child to use if it’s not installed correctly. Shop around and read lots of reviews. However, I strongly recommend looking at Axkid, who are a Swedish company. They have some great car seats, including the Minikid which we have. As well as having various safety features, it will also last Autumn for absolutely years as it goes up to 25kg. Disclosure: This post was written in collaboration with Axkid, having received an Axkid Minikid car seat from them. This is a topic which is very important to me and, as always, all views and opinions expressed are honest and my own. Interesting. I’d like to see some video crash experiments between rear-facing and front-facing baby seats. Although I am really in to replacing our baby seat with a rear-facing one. I checked some prices online and they are pretty expensive compared to front-facing seats but if its the safety of our child we’re talking about, there’s no argument in it. We bought a rear facing one at the start of the year. It was very expensive even with £100 off it, but I want my daughter to be as safe as possible. It also has a forward facing option and will last her a few years. That’s great! They are pricey, but I do think they’re worth that extra peace of mind if you can go for them.